You may receive updates from Pramilla Malick, the creator of this petition. Guilty! Built on Bribes Shut Down The CPV Power Plant Now! Joseph Percoco, top aide to Governor Cuomo was convicted of accepting bribery money from Peter Braith Kelly, of Competitive Power Ventures in order to facilitate the approval and development of their 650 MW fracked-gas power plant in Orange County NY. Kelly also recently plead guilty for his role in the bribery scheme. Trial testimony revealed that both Kelly and the company sought to improperly influence state actors and agencies in order to get this power plant approved. This explains why this dangerous project was sited in a protected agricultural district and critical environmental area; adjacent to an environmental justice community; over a native american burial ground and historic site; and finally, entirely in conflict with the state's moratorium on fracking and Clean Energy Standard. Conservative scientific estimates conclude that the plant would increase the state's greenhouse gas emissions from the power sector by "in excess of 10%" and require 100-150 Pennsylvania fracking wells per a year. Just as the Percoco trial began CPV fired up again improperly on back-up diesel fuel. Residents from as far as 10 miles away began to get sick with burning eyes and throats. 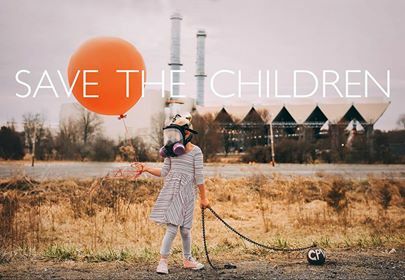 Built on bribes and lies the CPV plant will plug NYC into fracked-gas dependency for the next 40 years and must be shut immediately. Moreover, the trial revealed a systemic failure of government that can only be restored through public hearing. Help us tell Cuomo and all of our state legislators to pull the plug now or we will #RememberInSeptember! We demand that you immediately rescind and revoke all permits for the CPV power plant at the center of the pay-to-play bribery scheme for which Joseph Percoco was convicted. The bribery payments came from the company and continued as numerous state permits were issued. Competitive Power Ventures is clearly a "bad actor" and therefore cannot be trusted to operate a power plant in NYS. Moreover, trial testimony indicated that state officials and CPV communicated through private emails and held private meetings. We therefore, in addition, demand that you initiate open and transparent oversight hearings to determine what transpired during the permitting and review process for this project. CPV must be held accountable for their conduct and the loopholes that allowed them to game the system should be immediately closed. 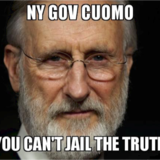 This conviction has shaken all public trust in Albany. The public demands justice for the victims of this criminal conduct, the residents of Orange County, and consequences for Competitive Power Ventures.